The programme in Bird's-Eye View is available now. 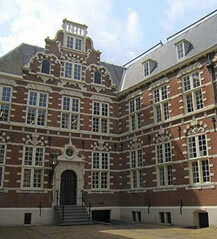 The first doctoral colloquium in the history of the ICORIA conferences will start with an informal lunch for doctoral students at 12 am at the historical East Indian House (Kloveniersburgwal 48, 1012 CX Amsterdam). The colloquium will be officially opened at 1 pm by the president of the EAA, Professor Edith Smit. A selection of renowned scholars from the field of advertising, marketing and branding will give interactive lectures and workshops on various topics, including 'how to publish your work in academic top journals', 'how to manage your supervisors' and 'the do's and don'ts of peer reviewing'. The colloquium will end at 5 pm. The participants will be invited to relax and connect at the Welcome Party from 5 to 7 pm, which will take place at the East Indian House, too. 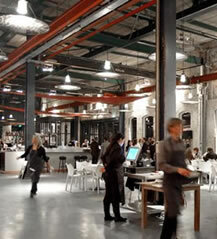 The first conference day will take place at the Pakhuis de Zwijger (Piet Heinkade 179, 1019 HC Amsterdam), a former warehouse located at the waterfront of the IJ, which serves nowadays as a cultural meeting place for creative and innovative minds. Thus, the perfect place to present and discuss remarkable research projects related to advertising and marketing communications. 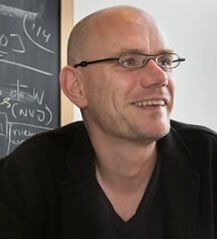 The main programme of the ICORIA 2014 starts at 9 am with a keynote speech by Professor Dr. Mark Deuze (University of Amsterdam). Professor Dr. Mark Deuze is known for his alternative way of thinking about the way we live within media. He will show how this affects society and what it implies for current thinking about advertising effects. The sessions will end at 6 pm. Participants will be able to refuel their energy levels at the Conference Award Dinner at 7 pm in the Restaurant Stork, which is located directly at the Amsterdam waterfront (Gedempt Hamerkanaal 201, 1021 KP). On the boat ride to the restaurant, participants will experience the unique atmosphere of the beautiful canals of Amsterdam. 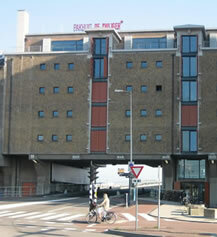 On June 28, again, from 9 am until 6 pm, presentations will be hold in the inspiring Pakhuis de Zwijger. As grand finale, an After Party will take place at 6 pm. The Department of Advertising at the University of Neuchâtel invites applications for a full-time Assistant position. Closing date for applications is May 31, 2014. You can find further information and a full job description in the pdf on the EAA-site. Furthermore, the Erasmus University Rotterdam offers several vacancies for full-time Assistant Professors at the School of History, Culture and Communication. Closing date for applications is for all Assistant Professor vacancies is May 25, 2014. For further information follow the provided links below.